The Centre's advisory for states to clamp down on e-cigarettes won't be enough to stop their use. The government's recent advisory asking states to clamp down on e-cigarettes may not be enough to root them out, say experts, advocating a "special mechanism" to ensure a blanket ban on the devices that many users mistakenly view as a safer alternative to combustible cigarettes. Terming e-cigarettes poisonous and as dangerous as regular cigarettes, the experts said the Centre and state have made efforts but clandestine online portals and dingy shops selling them in nooks and crannies across India's towns continue to function. "Even if the advisory of the government asks states to curb the sale of e-cigarettes in their jurisdiction, it is very difficult to keep a check at the ground level if the sale is happening through small vendors," Dr P C Gupta, director of HEALIS-Sekhsaria Institute for Public Health, Mumbai, told PTI. "There is a need for a special mechanism by the government to keep a tab on the vendors from time to time, he added. On March 12, the Central Drug Standard Control Organisation wrote to all drug controllers in states and Union territories to not allow the manufacture, sale, import and advertisement of Electronic Nicotine Delivery Systems (ENDS), including e-cigarettes and flavoured hookahs, in their jurisdictions. The move was in concert with several other organisations. 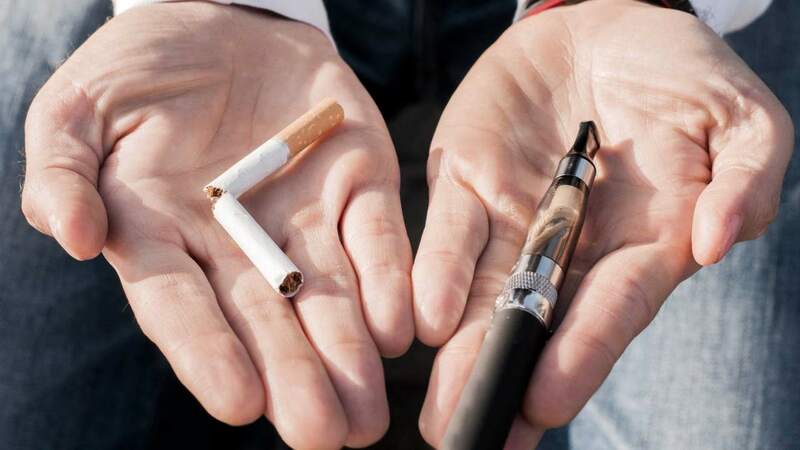 The Ministry of Electronics and Information Technology, too, proposed an amendment to the Information Technology (Intermediary Guidelines) Rules 2018 to ban the advertisement of e-cigarettes. The Central Board of Indirect Taxes and Customs also issued a circular recently, directing that all import consignments of e-cigarettes must be cleared first by the drug controller. There is no legislation to regulate the sale of e-cigarettes in the country, experts have said while calling for a blanket ban. "E-cigarettes are just a mechanism to deliver nicotine in an attractive format. They are marketed as a harm reduction product which is contrary to the truth. They do not fall within the scope of existing national legislation on tobacco production, distribution and use yet pose significant health risks that are frighteningly similar to those of conventional cigarettes," said Bhavna B Mukhopadhyay, chief executive, Voluntary Health Association of India (VHAI). Twelve states have already banned e-cigarettes, she said, stressing on the need for a total ban. Drugs Controller General S Eswara Reddy is hopeful states will fill the existing gaps in the policy on banning e-cigarettes. "We have already given an advisory to all the states and expect the states to take strongest action against the sale of e-cigarettes," Reddy told PTI. 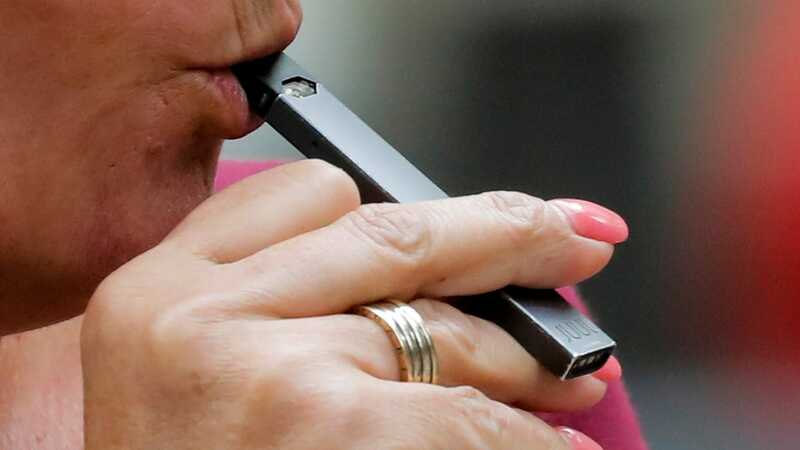 Union Health Secretary Preeti Sudan has written to Commerce Secretary Anup Wadhwan to block JUUL, a western company manufacturing sleek vaping devices like e-cigarettes, from entering India. Smoking e-cigarettes is called vaping. Sudan said the entry of JUUL products, if not prevented, could undermine the efforts taken by the government towards tobacco control. Other experts have also called for a special arrangement by the government to keep a tab on unorganised vendors and the online sale of e-cigarettes. According to Dr Pankaj Chaturvedi of Mumbai's Tata Memorial Hospital, people consuming e-cigarettes will add to the cancer burden of India. "Any nicotine product should be taken under strict medical supervision for controlling withdrawal symptoms during cessation therapy. I laud the government of India for taking a tough stand against these newer nicotine delivery devices," he said. "However, it should ensure there are no loopholes at the ground level by leaving a space for small vendors to sell it illegally," he said. E-cigarettes are also fast becoming a fashion statement for the young. The constant introduction of new products, each with its own list of ingredients, that are marketed as smart alternatives to smoking pose a huge challenge. Studies have found that the percentage of students who initiate e-cigarettes and hookah smoking before 10 years of age has increased from 26 percent to 45 percent in the last one and half decade. According to the Indian Council of Medical Research (ICMR), there were 14 lakh cancer patients in 2016. Of these, the highest number of cases was of lung and oral cancer, which is often caused by tobacco and smoking. The VHAI, which is a New Delhi-based public health organisation, has also taken up the cause. A recent study by the American Heart Association's Scientific Sessions in Chicago, investigated the effect that e-cigarettes have on the endothelial cells, that line the inside of the body's blood vessels. Endothelial cells produce nitric oxide, a molecule that helps keep the blood vessels healthy and controls blood pressure levels. 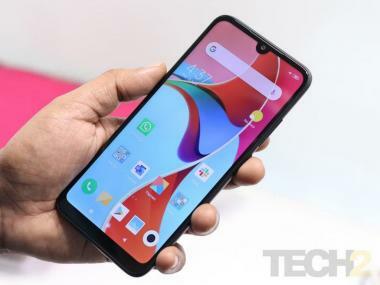 Several countries, including Mauritius, Australia, Singapore, Korea (Democratic People's Republic, Sri Lanka and Thailand among others, have banned ENDS in their countries. M C Misra, former director of the All India Institute of Medical Sciences, said the government should come down hard upon the companies for advertisements that show e-cigarettes as less harmful than tobacco. It is proved that e-tobacco cannot be used as a cessation method. The advertisements that say this should be banned and face actions, Misra said.